Her Majesty’s Lord Lieutenants are the representatives of the Crown for each county in the United Kingdom. They are men or women of all backgrounds and are appointed directly by Her Majesty the Queen. Each year the Lord Lieutenants’ awards are presented across all 3 of the services to Regular and Reservist personnel, Cadet Force Adult Volunteers (CFAVs), cadets and employees of military establishments, and are recognised as laudatory honours across the Ministry of Defence. These awards are intended to supplement Honours bestowed by Her Majesty the Queen in the New Year and Birthday Hours Lists and rank after them in precedence. The Lord Lieutenants’ Awards of Meritorious Service and the Lord Lieutenants Cadets Awards for the counties of Shropshire, Staffordshire, Warwickshire, Herefordshire, Worcestershire and the West Midlands are facilitated by West Midland Reserve Forces and Cadets Association (WM RFCA). The awards are presented at ceremonies in each county, organised by WM RFCA and presided over by the Lord Lieutenant. The principal criterion for nomination for this award is exceptional service, as it is not intended as a routine recognition of long and loyal service. Outstanding service in operations should be recommended through the chain of command, however such service can form part of the evidence of exceptional service. As a guide an individual should normally have served for a minimum of 6 years before being considered for an award, although those with less service will be considered on their individual merits. Individuals who are recommended for an award will normally be eligible within the county of their unit HQ or sub unit rather than the county where they live. Exceptionally individuals serving in specialist units will be eligible for an award in the county where they live. Nominations will be called for in December each year. The award for Lord Lieutenants’ Meritorious Service is in the form of a framed certificate which is signed by the President of WM RFCA and the Lord Lieutenant. Each year the Lord Lieutenant from each county appoints young people to serve as the Lord Lieutenants’ Cadets. These are drawn from the Sea Cadets, Royal Marine Cadets, Army Cadets, RAF Air Cadets and the Combined Cadet Forces. The appointment is recognised as one of the highest honours a cadet can achieve. When on duty the Lord Lieutenants’ Cadets wear a distinctive badge of appointment to denote their role. 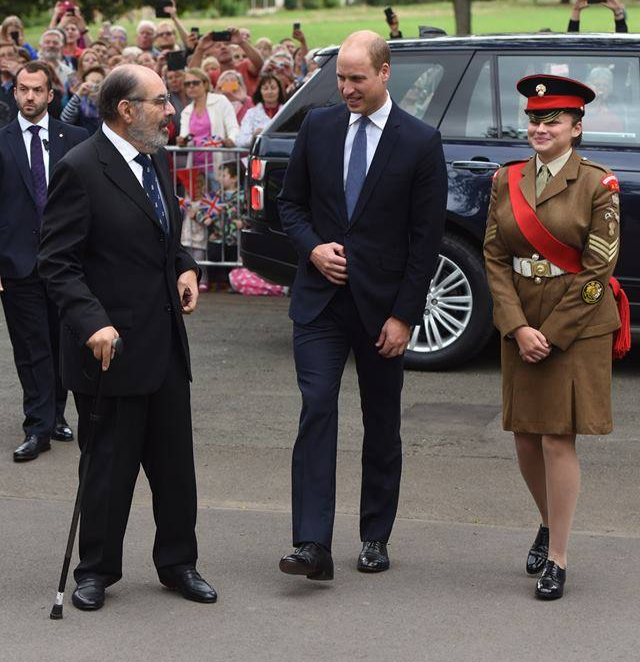 They assist the Lord Lieutenant as required, often on parades such as Remembrance Sunday, at events and presentations, and if they are very lucky, at royal visits. They act as ambassadors for their organisations and the young people of the region. The Lord Lieutenants’ Cadet is a high profile appointment and as such it is expected that the candidate should be of the highest standard. The cadet should normally be over the age of 16 and hold at least the rank of Sergeant or equivalent. Nominations for the appointments will be requested by WM RFCA ahead of the investiture ceremonies which are normally held between March and May each year. The ceremonies take place in each of the 6 counties and are organised by WM RFCA. The cadets receive their Lord Lieutenants’ Cadet Badge and a framed certificate which is signed by the Lord Lieutenant. County Meritorious Certificates are awarded by WM RFCA and are a token of recognition for commitment and service. They may be awarded as recognition of long and loyal service, and also for single acts that have been carried out over and above that which is normally expected of an individual. Regular and Reservist personal, CFAVs and employees of military establishments are eligible for the award. Individuals who are recommended for an award will normally be eligible within the county of their sub unit, not in the county where they live. Exceptionally individuals serving in specialist units will be eligible for an award in the county where they live. Nominations will be called for in December each year. The award is in the form of a framed certificate which is signed by the President and also the Chief Executive of WM RFCA.